Ready to Turn Back the Clock and Look Years Younger? Botox® is an effective and widely-used cosmetic treatment that helps to minimize facial lines and wrinkles. This non-surgical, FDA-approved aesthetic treatment uses naturally occurring proteins to relax specific facial muscles. Once these muscles relax, the resultant wrinkles will start to disappear. Botox® has the additional benefit of helping to prevent new wrinkle formation. Why Choose LakeView Family Dental for TMJ Therapy? The Botox® treatment process is exceptionally simple. When you come in for treatment, our aesthetic team will work with you to identify any problem areas you’d like to address. Then, we’ll administer a few Botox® injections to these specific areas. It really is that easy! The entire process is completed in just one appointment, and results can last up to six months before the proteins need to be re-administered. Why do so many people come to our West Bloomfield dentists for Botox®? It’s unavoidable: your smile and facial expressions are deeply connected to wrinkle development and facial aging. The good news is that our Botox® team understands your maxillofacial structure as a whole. We’re here to help you minimize laugh, worry, and smile lines, as well as crow’s feet, without limiting your self-expression. Botox® is quite versatile in that it can also be used to treat bruxism and TMJ disorder. Our West Bloomfield dentists keep Botox® treatment convenient and accessible with flexible appointment times as well as useful payment options. See the results you want without the hassle and stress that you don’t need. Our trained and meticulous LakeView Botox® team personalizes Botox® treatment to suit the individual patient’s needs. 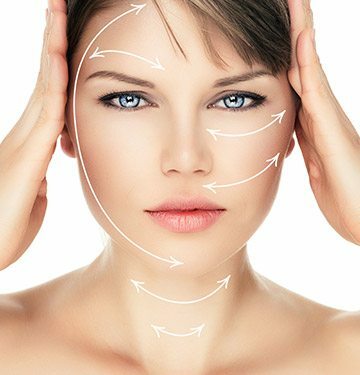 Botox® has a proven track record of success and necessitates very little post-treatment healing and recovery time.